The custom of the ancient Jewish marriage covenant began with the father choosing the bride for his son and his son paying a price for his chosen bride. Our Heavenly Father chose us and His Son and paid the bride price with His own blood upon Calvary. 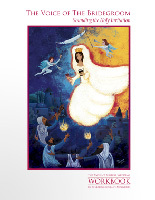 Each of us has been sought out, chosen and invited to become the bride of Christ and to receive our bridegroom Jesus. If the marriage contract was agreed to, the bride was washed and ushered under the wedding canopy. There the betrothal was sealed as she drank from a cup of wine set before her and was veiled to signify that she was set apart for her groom. Now married in the eyes of all witnesses, the long wait for the actual wedding day began, The sounds of hammering could be heard as the groom returned to his father’s house to begin building the elegant chamber for His bride. Like the Jewish bride of old, we are to be sanctified and set apart for Christ as we anxiously await His return. The father of the bridegroom alone announced when the time had arrived to retrieve the bride. The witness went forth announcing the arrival of the groom and like a thief in the night the groom took his bride to her new home. At the signal of our heavenly Father, the Son will come to gather His bride. At last, the bride of Christ and the Son of God will be together for eternity and He shall spread His Tabernacle over her and the marriage supper of the Lamb will commence. 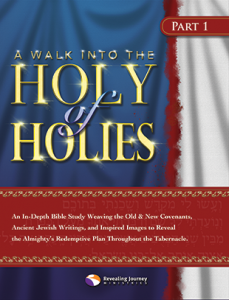 An in-depth Bible study uniting the Old and New Covenants, ancient Jewish writings, and inspired images to reveal God’s redemptive plan within the Tabernacle. 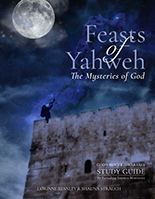 This six-week study will take you through each of the feasts. Learn of God’s redemptive appointments and His plan for restoration of this world. Renew your passion and covenant relationship with God as you follow His divine plan. The first step in booking a retreat or a guided study is to look at our calendar in EVENTS for an opening that works with your schedule. Please contact us with your request. This tour is filled. Please contact us to be placed on the waiting list or to sign up for our next tour.